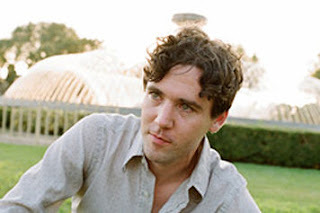 Catacombs is the fourth album from elusive singer-songwriter Cass McCombs. All relevant facts regarding the man or his albums are open to debate. It could be an artistic stunt of mischief as his website may suggest. It could be the artistic stereotype of a recluse typified by vague, but personally loaded lyrics and rumors that the musician has the tendency to frequently pick up stakes and find new home cities to be anonymous. Like most truths it's likely somewhere in-between. In the few remarks he has made to the press, McCombs discussed dealing with the inevitable, unfair pressures that have very little to do with the music process. It says something about the man's talents that even still more ink is ultimately paid to discussing the talent rather the lack of concrete biography. Aligning oneself to feelings rather facts is a quick way to gain a fan base. It's the type of thing that quickly endears itself to thirty-somethings with a love of music and a predisposition towards music-fueled depression. Even as there has been a noticeable move from the lo-fi arrangements of his first album to the cleaner presentation of the latest, there's always been a sense of intimacy to each song. This isn't earnest folk, so much as it's romantic folk. "Jonesy Boy," as some may recognize, has unofficially become my end-of-the-quiz theme music following my night of hosting Geeks Who Drink at Jonesy's.